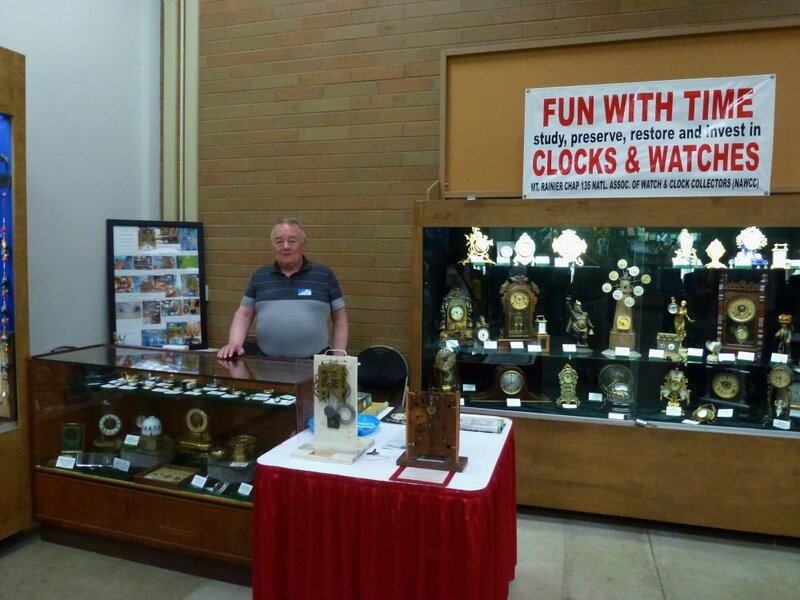 Each year at the Puyallup (Western Washington State) Fair, NAWCC Chapter 135 hosts a booth in the Hobby Hall. 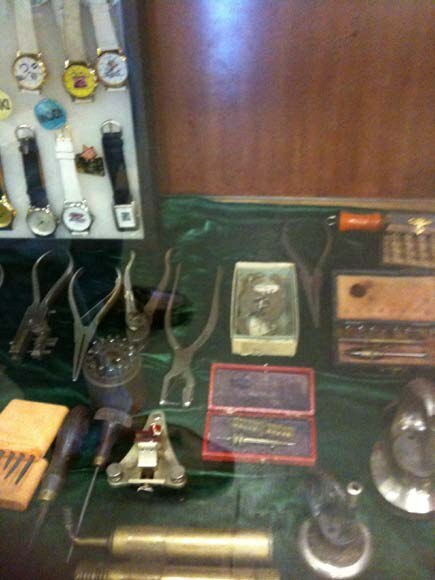 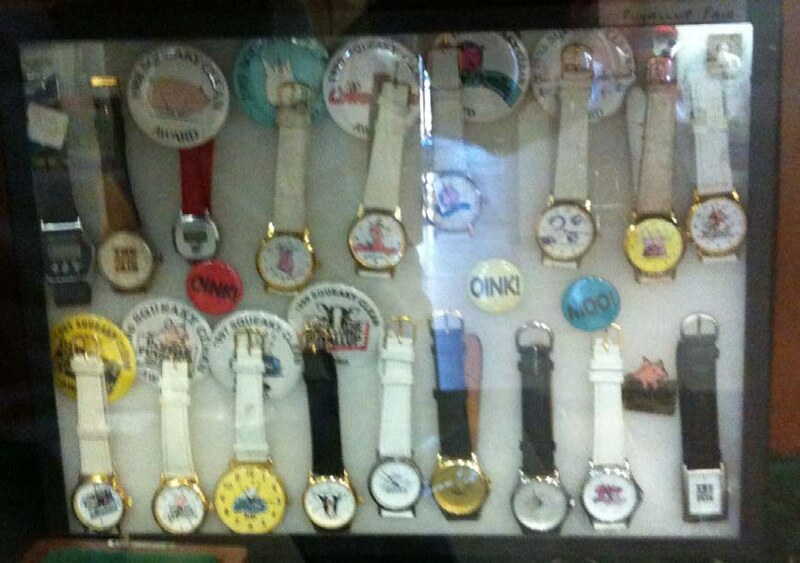 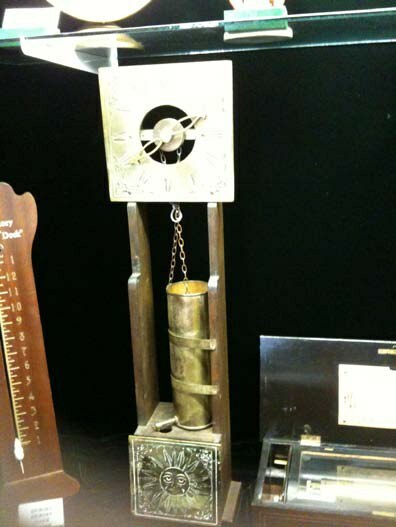 Members provide clocks, watches and watchmaker tools, as well as other horological memorabilia for display. 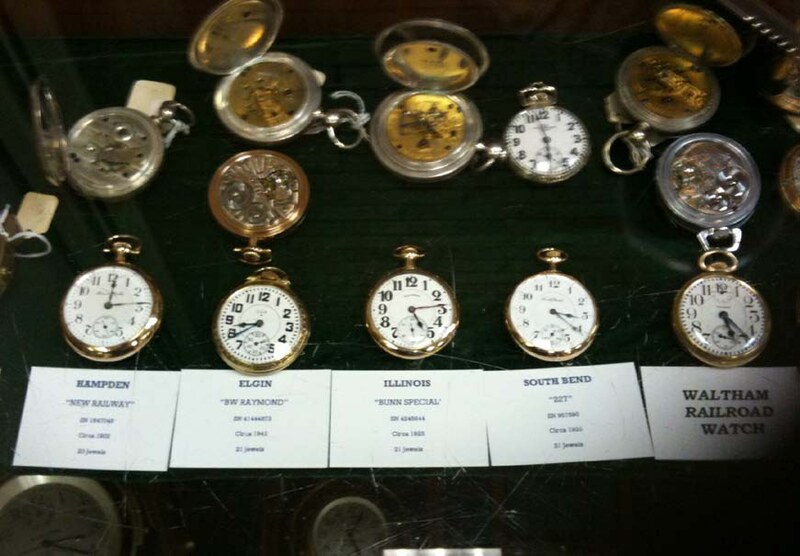 The booth has been one of the Hobby Hall’s most popular exhibits and has presented an outstanding opportunity to interest fairgoers in Horology as well as seek new members for NAWCC and local chapters. 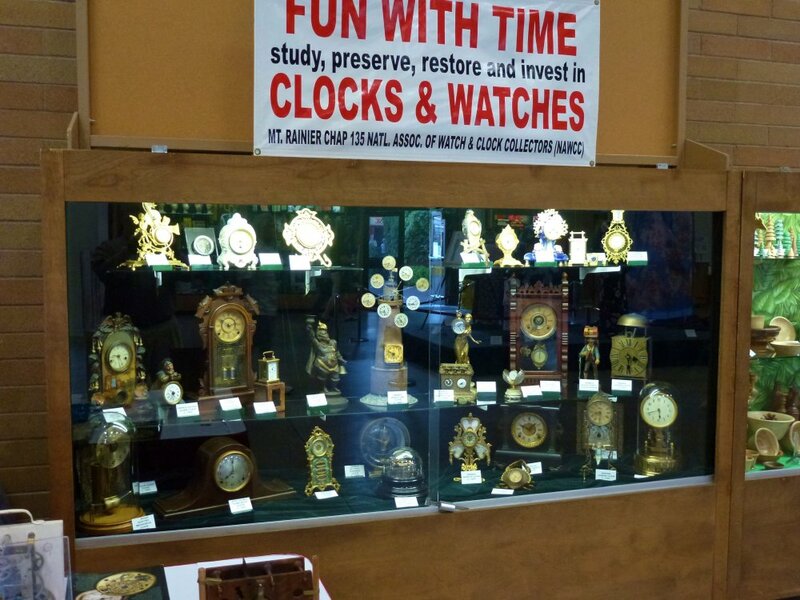 The booth is staffed by Chapter 135 members as well as some from other NAWCC Chapters. 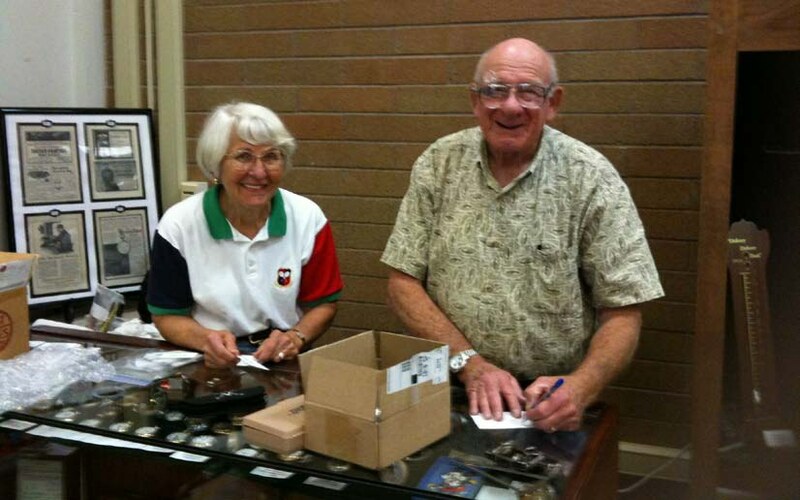 Julia and Stan Mueller preparing exhibits. 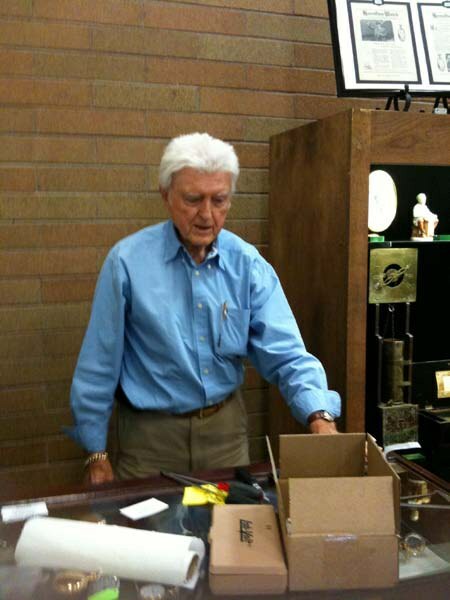 Bob Selene unloading items and stocking display case as his wife Arlene supervises! 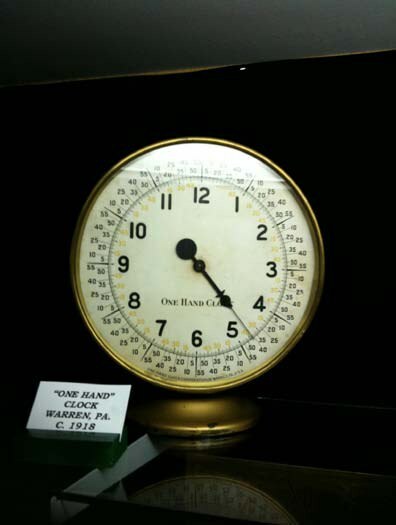 Railroad Watches – Old and Older! 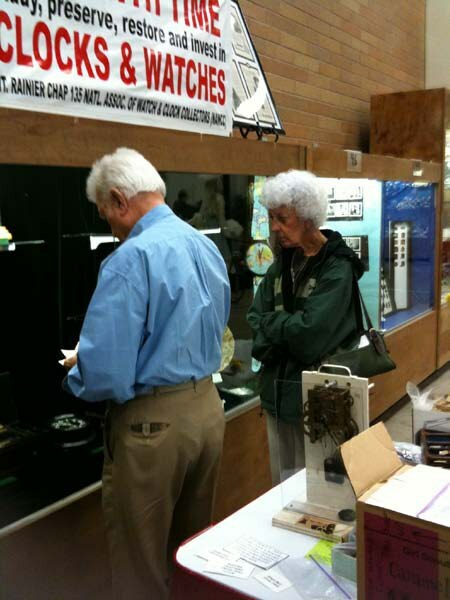 Puyallup Fair watches go to the fair! 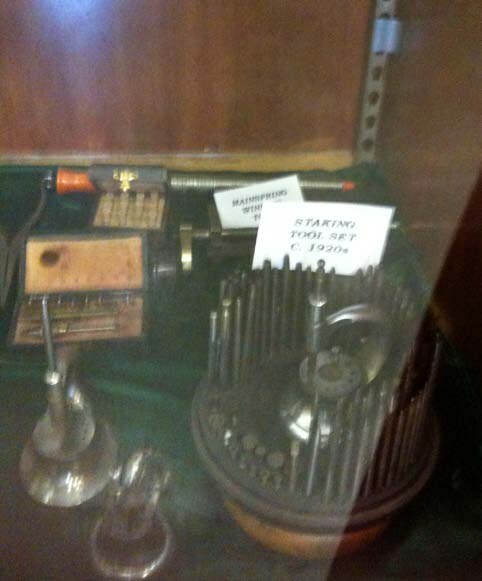 Early tools of the trade!